Platinum stands for the very best there is. It is eternal and will not tarnish or fade. 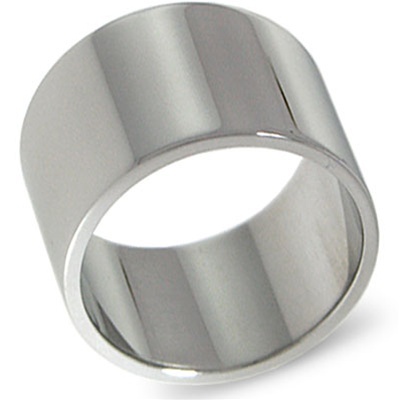 At a luxurious 12mm wide this platinum wedding band comes in a bright polished finish. Starting at just $1299 this is a superb investment sure to increase in value and character with time. May be special ordered in a Matte, Satin, Bead Blast, Florentine, Ice, Stone, and Hammered Finishes.